A high ranking official representative of the animal kingdom. Aztec came to Turtle Ridge after being after being transferred from another facility. 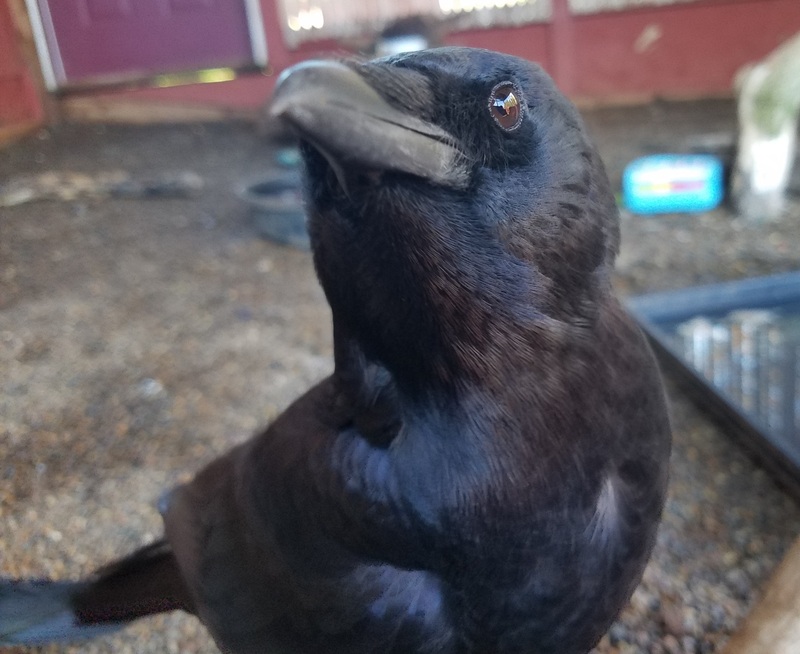 He came into care after being struck by a vehicle in Eastern Oregon and taken to a veterinarian that amputated his left wing after suffering severe trauma from the vehicle strike. Since he is an unflighted bird he would not be able to survive on his own in the wild and will now have sanctuary at Turtle Ridge. The Golden Eagle is the most common national animal in the world! The record-setting Golden Eagle nest was 20 feet tall and 8.5 feet wide! Golden Eagles are used in Mongolia as Falconry birds! 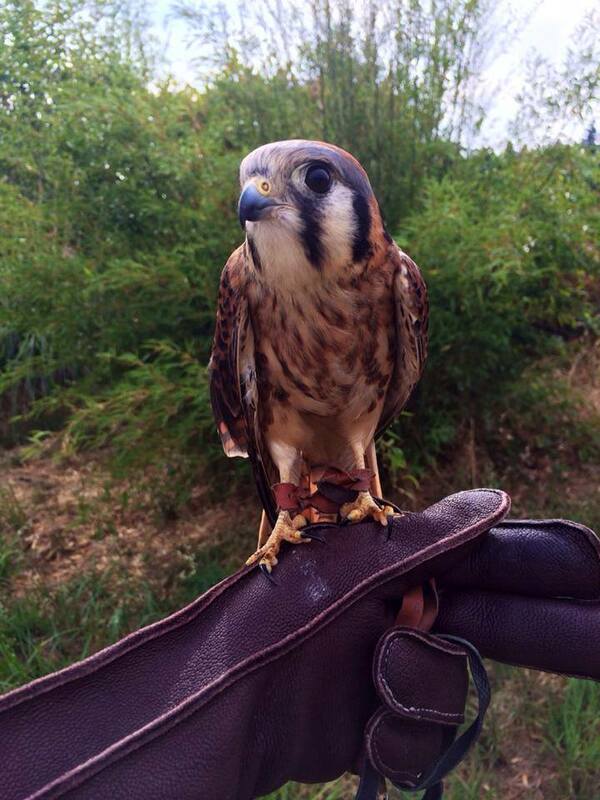 Falconry is a type of hunting utilizing the aid or a raptor. Some Golden Eagles eat tortoises, carrying them high up into the air over rocky areas and dropping them to crack open the shells! Cheyenne came into care at Turtle Ridge after being found in a field several days after the field was plowed. She was found amongst her chicks that unfortunately passed away from the trauma of being plowed over. Cheyenne was presumably sharing a meal with her young ones after teaching them how to hunt. Radiographs showed that Cheyenne had a severe fracture in her wing and the bones had already begun to heal in an incorrect position when she arrived at the care center. She now lives with a permanent healed injury and is unable to fly which deemed her un-releasable. During care at Turtle Ridge, Cheyenne adjusted to being in an aviary without stress and will live at Turtle Ridge for the rest of her days. Despite being a bird of prey themselves, American Kestrels are often preyed upon by larger raptors like Red-Tailed Hawks, Norther Goshawks, Barn Owls and Copper’s Hawks. Like Many birds, kestrels can see ultraviolet light allowing them to see the urine trails of small mammals and enabling them to tract, capture and eat their prey! Griffin came into care at Turtle Ridge after being found in a field frantically walking in circles with his wings spread out. After a thorough eye exam it was confirmed that he had suffered damage to both of his eyes. One eye had older damage and the other more recent damage. Presumabably one eye was either stepped on by a sibling in the nest or “pecked” from an agressively eating sibling. When his family fledged he may have hit an obstacle in his flight path due to not having depth perseption with his previous injury. Since Griffin is unable to have his vision in tip-top shape he would not survive on his own and will now live his best life at Turtle Ridge being an ambassador for his species. 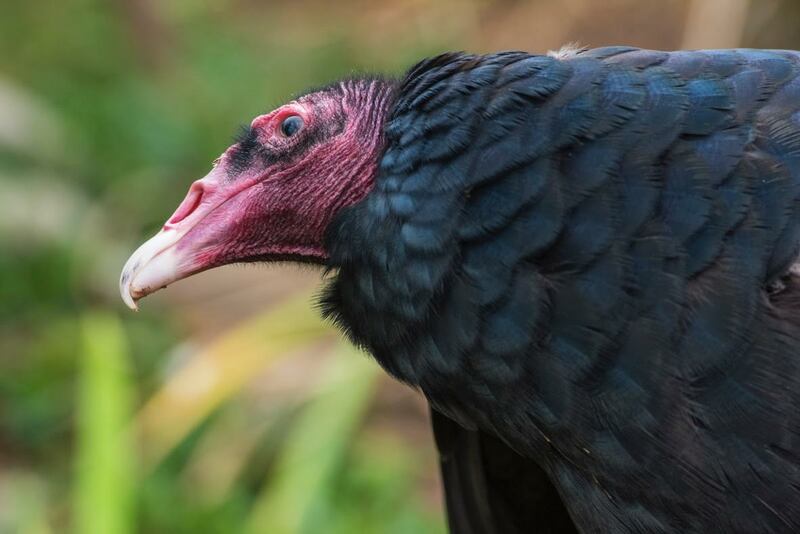 The Turkey Vulture is often seen standing in a spread-winged stance. The stance is believed to serve multiple functions: drying the wings, warming the body, and baking off bacteria. It’s practiced more often following damp or rainy nights. 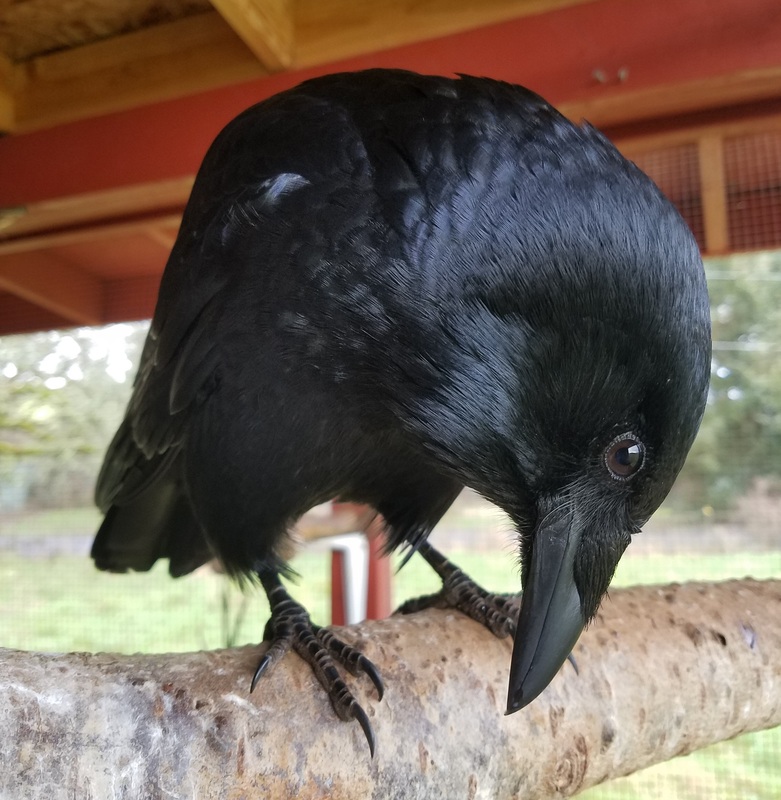 Cawner was a recently fledged young crow when he came to Turtle Ridge. He had a fracture in his wing and some vision disabilities. His wing was healed and his vision improved over the course of time he was going through rehabilitation but his agility and sight were not good enough to be released and to survive on his own. He now lives with his best friend, Ziggy. Crows perfom a behavior called “mobbing” harassing and driving off predators such as Red-tailed Hawks. American Crows have been known to work together, solve problems, make tools recognize people and places and devise plans. Ziggy was found when she was still a nestling by good intention people. They took her home and not knowing about wildlife rehabilitation centers they raised her for about 6 months. During this time she became imprinted on to humans which means she will know always look to humans as her murder versus other crows. Once Ziggy’s natural crow behavior became too much for her “finders” she was transferred to Turtle Ridge where he resides with her friend, Cawner, as an ambassador to her species. The oldest known wild American Crow lived to be 16 years old! 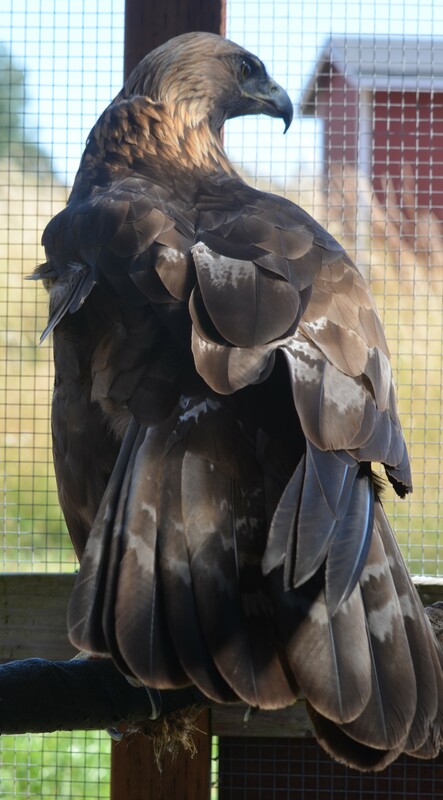 The oldest captive American Crow lived to be 59 years old! Crows are the subject of several studies at Cornell University due to their intelligence and social dynamic. Age: 6 – 12 years Approx. All four tortoises found there way to Turtle Ridge under similar circumstances. These tortoises are often purchased through the pet trade as young tortoises and they quickly outgrow there enclosures as well places in their owners hearts. They are often “dumped” or escape their homes and are found lost and wondering around. 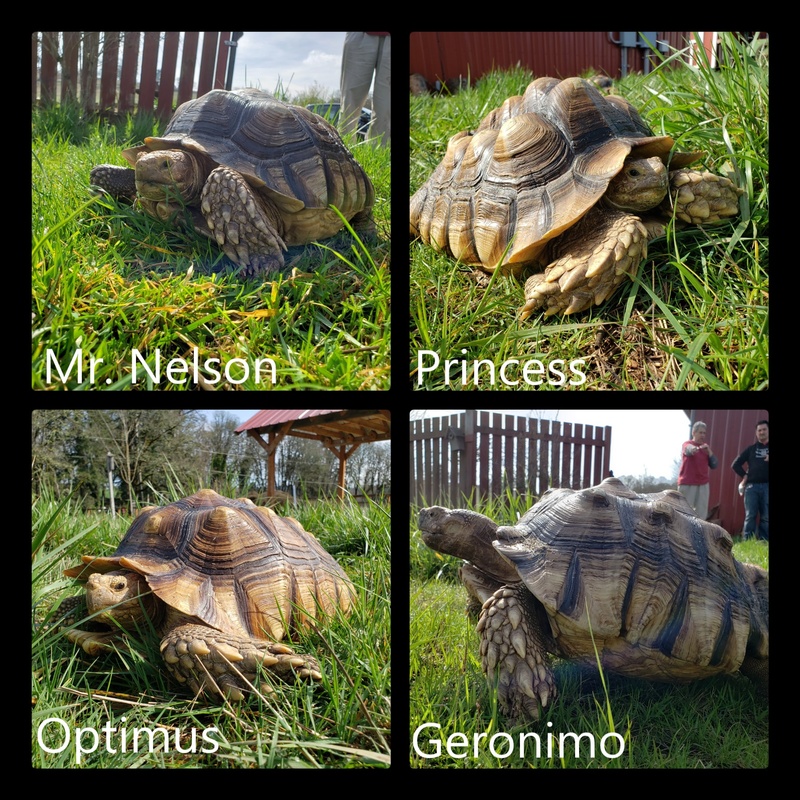 Optimus, Geronimo, Princess and Mr. Nelson all were brought to Turtle Ridge after being found just roaming. They will know live there lives in their “Tortoise Kingdom” and will be forever loved. Sulcata tortoise is herbivore (plant-eater). Its diet is based on succulent plants and various types of grasses. Sulcata tortoise grows quickly. It doubles its size every three years. Sulcata tortoises reach sexual maturity at the age of 15 years. The oldest ling tortoise whom is still alive today was hatched in 1832 making him nearly 190 years old. Shemar’s story is one of sadness. He came to Turtle Ridge after Oregon State Police investigated a hoarding and breeding situation. Found living in horrible conditions of neglect and among other cats that were not as lucky to be saved, he arrived lethargic, severely underweight and terribly scared. The director of Turtle Ridge, Jessy, adopted Shemar and nursed him back to health providing him with round the clock care and lots and lots of love. Now he is the most the most outgoing, friendly and loving feline you will ever meet. Bengal cats can come in the height around 16 inches. In average, they have the weight around 10 to 16 pounds. Their fur “glitters”, This is something that you may not notice if you’re just looking at a photograph of a Bengal. 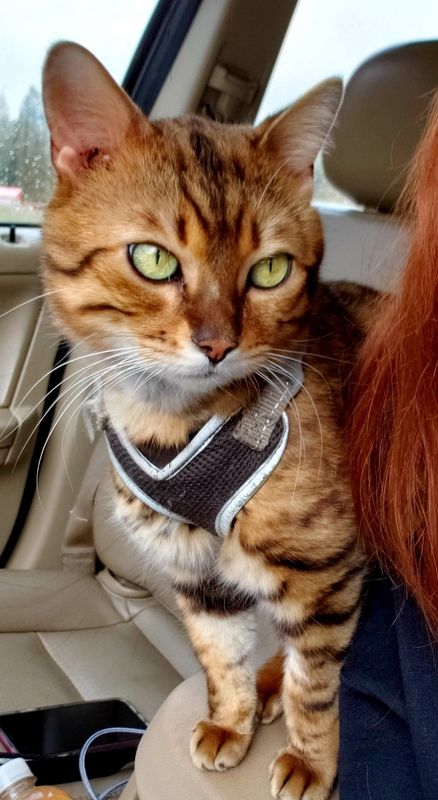 They have fur that is magnificently spotted and marbled and this is particular to every member of the breed, but some Bengals are more special than others. There is a certain gene that is passed through select Bengal lines that is known as the “glitter gene.” It makes their coat shimmer magnificently. The bobcat hunts by stealth, but delivers a deathblow with a leaping pounce that can cover 10 feet.